Witness the wonderful views of Canberra and the region from the top of Mount Ainslie. Walk through the corridors of power at Australia’s Parliament House. Survey the Parliamentary Triangle and its National Institutions…. Tastings at selected wineries in Canberra’s cool climate wine region Learn about the history and development of winemaking in the area. Discover how coins are made at the Royal Australian Mint followed by and exploration of the iconic National Museum of Australia. Finish the morning with the view atop Telstra Tower. Enjoy the journey to the Tidbinbilla Nature Reserve west of Canberra. Learn about & photograph Canberra’s & Australia’s unique wildlife. 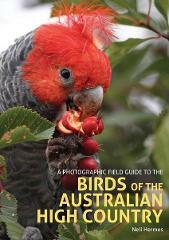 See & photograph wild kangaroos, koalas, colourful birds and with a bit of luck see emus and platypus. This guide is focused on field use to help beginners and experts identify species.For each species the common and scientific names are listed as well as local variations.